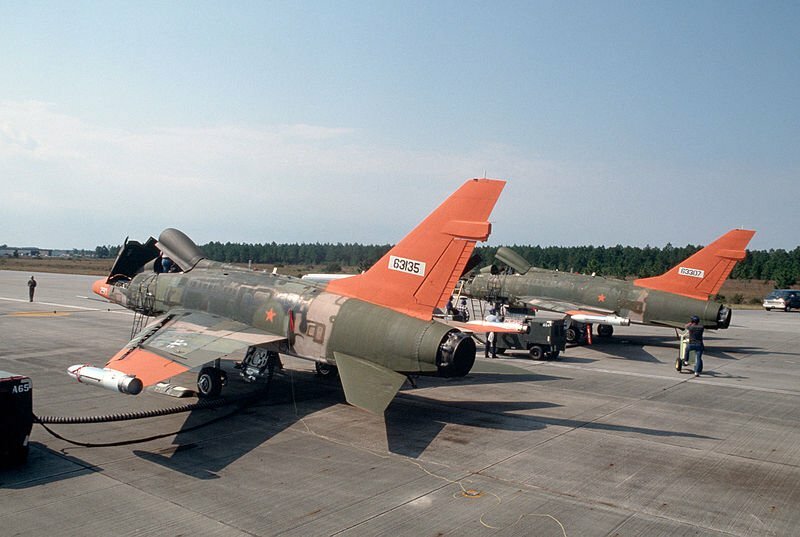 Beginning in 1983, 209 D and F models were pulled from AMARC (bone yard) at Davis-Mothan AFB and converted to remotely piloted vehicles or drone targets. Bob Dunham, FSS Co-founder, was one of the test pilots in the program. 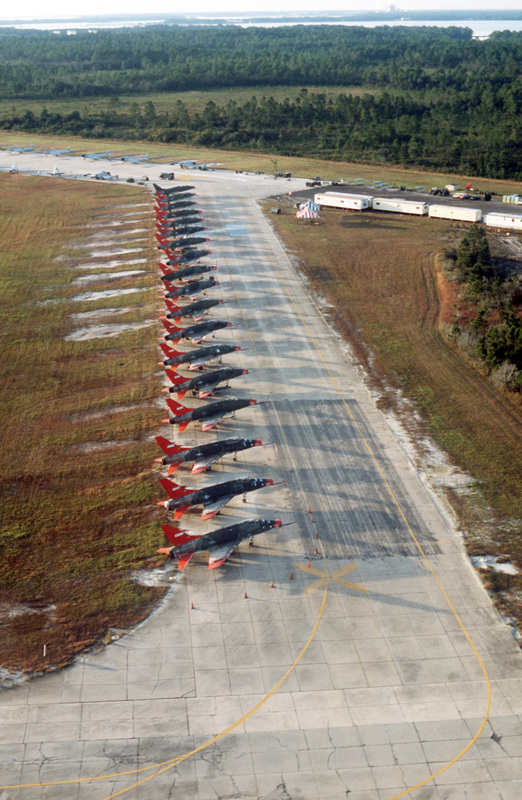 He flew the initial functional check flights on the planes after they had been in storage for years. He had some great stores about flying the drones as a safety pilot while the ground controls learned to maneuver the Hun. The planes were modified with an auto pilot that was controlled from the ground or other chase aircraft. Additional antennas were added for communications and a pipe was attached to the outside of the fuselage so oil could be pumped into the exhaust stream to aid in visual acquisition. The drones were flown over the Gulf of Mexico and used as live fire targets for F-15 and F-16 training. 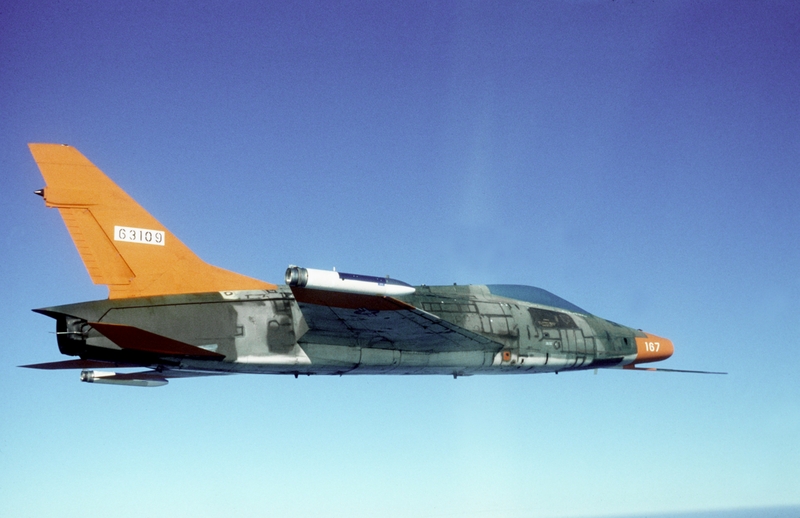 The air-to-air missiles were programmed for a near miss so the Hun could be returned and used for other missions. 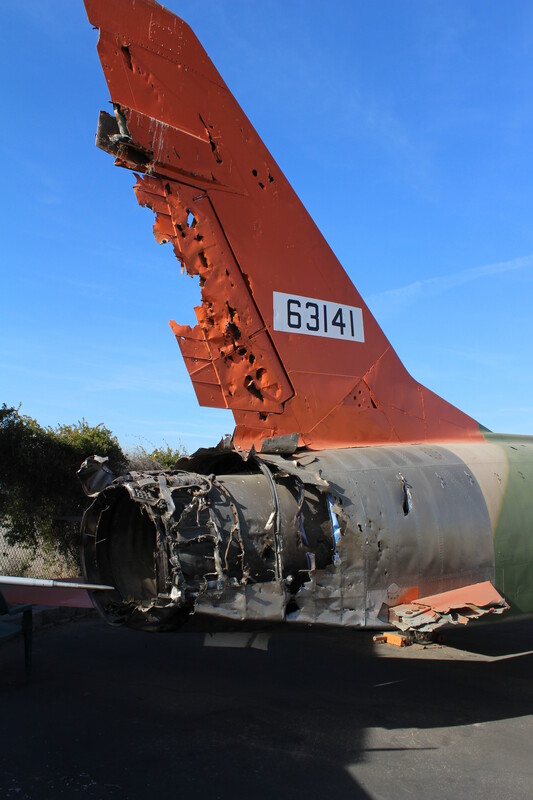 However, there were some direct hits as seen on the MAPS F-100D 56-3081. Many were shot down over the gulf and some crashed on landing or were lost during flight for other reasons. 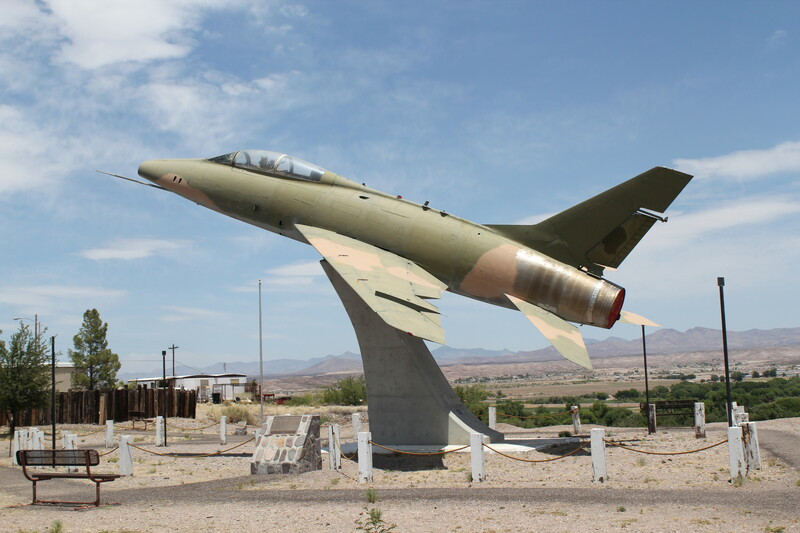 Check out the North American F-100 Super Sabre web site for lots of pictures of before and after being hit or after a bad landing. 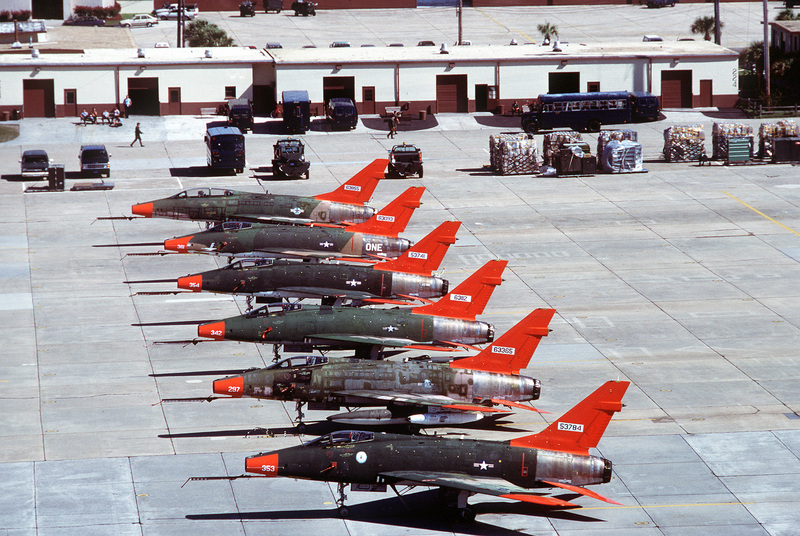 The F-100 drone operation continued until 1998.